Witness our universe in a whole new way! 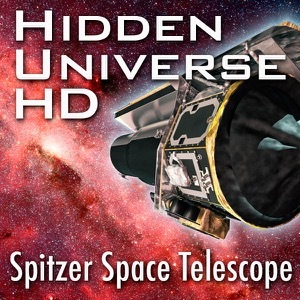 This video series (in 720p HD) highlights some of the most exciting discoveries from NASA's Spitzer Space Telescope. In-depth 'Showcase' features, striking 'Gallery Explorer' montages, and other whimsical specials take you beyond the visible to a universe of dust and stars hidden from Earth-bound eyes. Spitzer is the infrared component of the NASA Great Observatory program which also includes Hubble (visible), Chandra (x-ray), and Compton (gamma ray). For faster, iPod-compatible downloads search for the companion 'Hidden Universe' standard definition feed, also available on iTunes.